Director Donna Cox will participate on a panel at the IMERSA Fulldome Summit (Denver, CO: October 26-28). 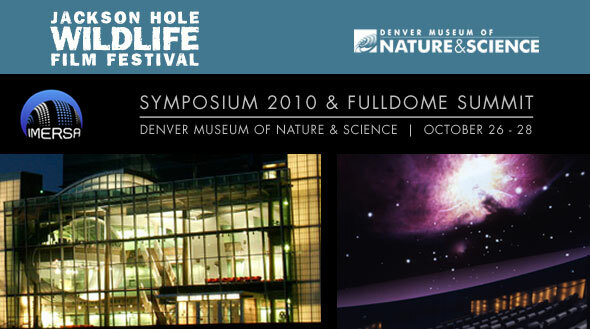 According to the Summit website, "The Fulldome Summit is to be held concurrently with the Symposium for Media and Museum Professionals October 26-28, hosted by the Denver Museum of Nature & Science (at the Gates Planetarium) and the Jackson Hole Wildlife Film Festival (Symposium). The Symposium 2010 & Fulldome Summit will bring content creators together with media executives from museums, theme parks, aquariums, zoos and other public organizations. More than 300 delegates are expected to participate in this 3-Day conference featuring; workshops, panels, screenings, exhibits and pitching opportunities. Session strands will be focused on the newest in 3D, Fulldome, Content To Go and creative fundraising options."